Recently I had a chance to interview Sean Dolan, Chief Operating Officer at Pushfire, about how things are going at Pushfire as well as his history with us here at SEO Book. In all seriousness though, this is a fantastic read. As Google continues to hammer away at SEO profit margins for smaller webmasters, mom and pop shops, smaller local businesses and so on (through unforgiving and somewhat chaotic, frequent, wide-ranging updates) it’s good for newer industry folks, or seasoned webmasters considering a jump to agency services, to see the documented evolution of someone like Sean. 1. Tell us about how you got started in the industry and what led you to SeoBook? In 2008, my uncle sent me a link to the latest of his out-of-the-box ideas, The Extreme Cubicle Makeover: Red Mahogany Luxury Paneled Cubicle with Dark Cherry Hardwood Floors. I was excited to hear his tales of traffic numbers and noise generated by the common cubicle, taken to an extreme every cubicle dweller dreamed of. It was different; it started conversations around the virtual water cooler. It was remarkable. At the time, I was over a decade into running my DJ business, built around word-of-mouth advertising the first few years, and in the last few years business flooded in from successful Adwords campaigns. In my first month of Adwords, I spent $ 800 and booked over $ 8,000 in contracted gigs. My uncle’s success shifted my paradigm, and got me excited about the potential of SEO and Viral Marketing as an additional source of business. I was filling up my DJ schedule fast with Adwords, but I wanted more! I went to the bookstore and grabbed the first book I saw: “SEO for Dummies” by Bruce Clay. The book was printed in 2004, and I was reading it in 2008. As I read more about search engine algorithm changes, I began to wonder how useful the information would be, but I soaked up every word regardless. After I finished the book, I jumped online to find more books to read, maybe something more current. I searched “seo books” on Google, and there ranking #1 was SeoBook.com. I began to scan the SERPs, reading descriptions of each result. Then I realized that if I was going to get information about how to rank in Google, I’d better choose the person that ranked #1 for what I instinctively searched. I immediately signed up as a paid member. 2. What were your first impressions of the paid SeoBook forums, training area, and tools? I wanted the training material bad. My decision to purchase membership was based on the training material alone. Tools were nice, and community was great, but I didn’t see the use for them until after I read all of the training, which I did. I read everything. I couldn’t believe how much actionable information I had. I literally took notes as I read, organizing them into what I would implement immediately, and what I would implement later. It wasn’t until I finished the training that I began to sneak around the member forums, saying nothing, but reading everything. Threads went back for years with hundreds of ideas I could still implement today. I realized that while the training got me up to speed, the forums dug very deep into theories and opinions with each person offering a unique perspective due to their industry and level of competition, openly providing real data from their experiments. And every day, there was something new, something I could implement. My plan to purchase a single month of Seobook.com, read all of the training material, and cancel my membership, had failed. I was hooked. 3. Can you talk about how SeoBook’s community helped with the success of your site? 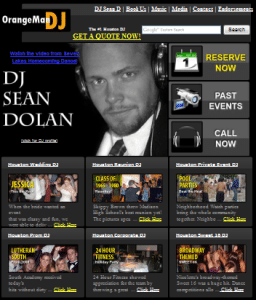 Using the member tools, implementing what I learned from the training materials, and the forums, I was soon ranking #2 for “Houston DJ” along with many other valuable terms. The organic leads came flooding in, and I paused my Adwords campaign. A few weeks later I was booked solid every Friday, Saturday, and Sunday for the next 4 months, and had contracts for dates up to a year in advance. I was passing leads to fellow DJs like candy. I was making about as much money as a one-man-show could make. 4. Privately, you mentioned to me that SeoBook changed your life. Can you expand on that a bit with respect to the initial success, followed by the launch of your own agency, and, of course, how your wife fits into the timeline? 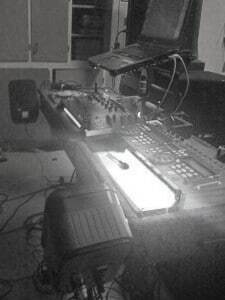 I quickly realized that in hitting my capacity as far as how many DJ gigs I could handle by myself, the next step would be to hire DJs and manage them. This didn’t excite me. One of my DJs was arrested for a bench warrant on his way to a gig. I had to run out the door and perform, showing up late, and I hated that. I saw so much more potential online, and I wanted to help other local businesses do what I did with my company. Late in 2008, my father was laid off from his job due to downsizing. Rather than run right back out to a job in the corporate sales industry he was familiar with, he was looking for something new—and I was just discovering something new. So we decided to join forces and create an agency called Ascendgence, LLC. We both knew that we needed more than only my DJ Business as a case study. We needed something big. We needed our own “Extreme Cubicle”; something to get our name out there; proof that we could harness the power of the Internet to produce an intended outcome. “Driving down the street last week I saw a very nicely dressed business woman on the corner holding a sign that said “I need a job”. Having freshly logged off of SeoBook, seeing the world in terms of opportunity, I thought to myself, “Hell, change that poster to mysite.com and you’re hired!” I told the members of the Seobook forums. The feedback I received from the members’ forum, equally encouraging and critical, helped shape my project into the success it became. 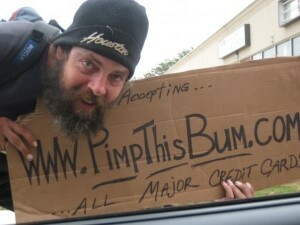 www.PimpThisBum.com launched on February 17, 2009. 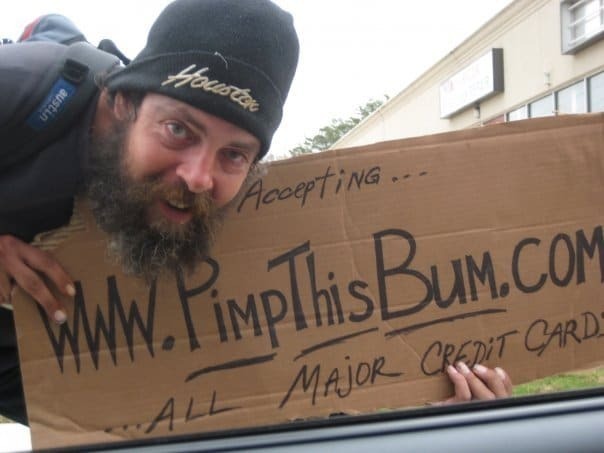 Exhausted from days of implementing the strategies I learned from the Seobook forums in preparation for the launch, we had Tim, a homeless man dying of alcoholism on the street, at the end of his rope, and gave him a sign to hold that said “www.PimpThisBum.com All Major Credit Cards accepted”. As was carefully planned, all hell broke loose. Tim, my Father, and I were interviewed by dozens of radio stations, local and nationally syndicated, interviewed on Fox & Friends morning show, featured on CNN, joked about by Jeff Foxworthy on the Rachael Ray Show, featured in 100s of national and international outlets—including The Sydney Morning Herald and Der Spiegel. In 4 very busy months, we raised $ 100,000 in personal donations and in-kind contributions, put Tim through rehab, and got him off the streets and reconnected with family he hadn’t seen in 35 years. Today, Tim is over 3 years sober and still off the streets. Anyone interested in reading the entire thread from day one, can find it in here in the members forum. As was intended, this helped our newly formed business. Fortune 500 companies didn’t come banging down our door, but we had a story to tell when we pitched prospects. For Ascendgence, PTB proved that we were loyal, and committed. Tim was our first client, and we followed through on what we promised him, and worked as hard as we could for him to help him achieve his goals. His goals happened to be sobriety and a normal life. The sobriety came, but it took a while for things to get ‘normal’. At one point, Larry King asked for an interview, and Tim decided it wasn’t a good idea because he’d already started rehab. 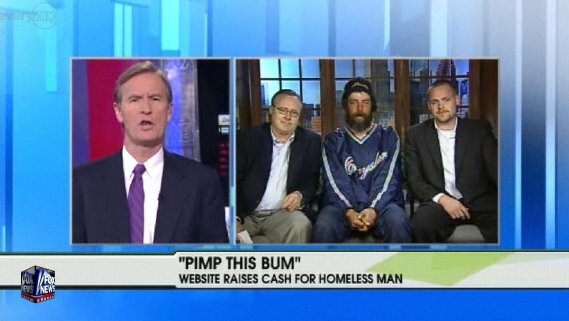 Turning down Larry King for an interview was anything but normal. The clients came. Some great partnerships were made. For that next year, I spent every bit of spare time reading the Seobook forums, and rereading the training materials. During this time, there was so much information; I rarely read anything outside of the forums… because the information I found in the forums worked. After nearly 3 years as partners in Ascendgence, my father and I came to the decision that we were better as father and son than we were as business partners. As we grew, the business put a strain our personal relationship. We came to the decision that I would buy my father out of the company. Soon after, he took a VP position at Bank of America. So, let’s back up to how my now wife, Rae Hoffman AKA Sugarrae, fits into this. 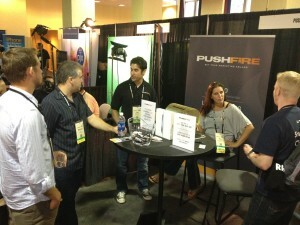 I heard about Pubcon from the SeoBook forums, and I was debating on whether to go to Pubcon Dallas 2010 or not. Heather Reisig, known as grnidone in the forums, told me it was a good show, even though it was smaller, and specifically recommended that I spend time in the smoking section, in order to network. I did as I was told. At the first networking event, Rae came out and we chatted about business a bit. She mentioned she was going to the Fox and the Hound after (not to me, just in general). Uninvited, I went to the bar, pounded 3 Jack and Cokes to work up the courage to approach her and offered to buy her a beer. As it turns out, Rae rarely turns down beer. She challenged me to go drink-for-drink the next day. The rest was a blur. Rae and I had an instant connection. By the end of PubCon we were making plans to visit each other (she was in Canada at the time; I was in Texas). It really was love at first sight. She was all I thought about—my world—and I love her more today than ever. We got married seven months to the day that we met in November of 2010 and we moved our (now) family to Texas in December of 2010. After running Ascendgence by myself for a few months, Rae started having extra demand on the consulting side of Sugarrae. We saw that our two businesses: Ascendgence and the consulting aspect of Sugarrae, had a lot of overlap in services. Not wanting the business to cause tension in our relationship, we were slow to act. We tested it out for a few months and found that we worked very well together, not only personally, but professionally. On May 10th, 2012, Rae and I announced PushFire. 5. There’s lots of negativity out and about this industry, but I see lots of opportunity. Granted, costs have risen and Google has trimmed the organic results in some pretty profitable areas, but SEO is still a major, major hub for getting in front of online prospects that are explicitly interested in your service or product? I came into the game going up against a smarter Google than those who’d been in the game for decades. I had to start from the get-go with learning more about how to build web businesses with defensible SEO, than exploiting algorithmic loopholes. Long-term strategies, defensible links, caution over greed, the recipe for an agency guy. It still amazes me how many large companies don’t know the basics. I’ve experienced billion dollar companies with no analytics, medium sized companies with broken contact forms, and manufacturing companies with nofollowed homepages. Entire websites disallowed by a developer who forgot to change it before launch, and these companies, for years, never knew any better. There’s a huge market for SEO Audits, including some of the largest companies, with not only enormous budgets, but huge gains to be had by fixing these problems. As an agency, you have flexibility. If the future of Google is favoring big brands, then that’s where you pitch your services. At PushFire, on a regular basis, we turn down companies we don’t think are a good fit for us. We only work with those we think we can do great things for. This is why I chose the agency life. I get satisfaction out of watching my clients’ businesses grow. I love meeting with them and showing them reports of huge gains. Link Building is another service we provide. We promote the highest quality content, no short-cuts. I love motivating my staff with trips to Vegas or iPads for top performers. I enjoy doing team building events like bowling and laser tag to show them we appreciate their hard work. I enjoy running an agency. Now, for those of you who hesitate going the agency route—there’s a lot of room for small, capable agencies. You don’t need to be a known “rockstar” in this industry to have a successful agency. Bottom line is that there are tons of industries where the competition is not ultra competitive, the clients and their competitors are simply uneducated. The client doesn’t care if you can rank for online gambling or which conference you’ve spoken at. They care if you can rank THEM for THEIR topic, in THEIR market, against THEIR competitors. Remember, there are far more companies that can’t afford a “rockstar” than those who can. 6. There’s lots of interest, from folks I talk to, about running their own agency (to some degree). One big hurdle for webmasters who are not used to time structure/resource structure is company infrastructure. How does your company handle stuff like a CRM, project management system, email, document management, etc? We use Highrise for CRM, Basecamp for project management, Outlook for email, and Dropbox for document management. Our developer churns out amazing tools for our team to use, as well as for management to keep track of performance and client reporting. Raven Tools has been a major help in organizing our link development. In fact our most used tools are built using the Raven Tools API. Find a good partner. Rae and I complement each other. I enjoy client calls, she does not. She enjoys blogging and developing strategy, while I enjoy implementation of these strategies. Her forte is SEO, mine is PPC Management. Hire an accountant… it will save you money in the long run. Always have your contracts looked over by an actual lawyer. Once you get bigger, you’ll need someone to manage HR, but you can easily outsource this. I have no doubt that we will make more money by giving those clients away than we would have by taking them. Karma is king in this industry. 7. How did you come up with PushFire? Internally? Hire a branding firm? After the final decision was made to join forces, Rae and I sat on our back porch, beers in hands, racking our brains for names. I wanted something to do with fire because that’s how I see ideas spreading on the internet, like a grass fire. GrassFire’s .com, Twitter, and Facebook were all taken. Then we thought about BrandFire–“brand” like in what they use to mark cattle, giving it a bit of Texas flavor, and “brand” as in your company brand. Our logo would look like a cattle brand burned into the header. Checking domain registrants, twitter handles, and facebook, it wasn’t doable. We wanted something simple to remember, say, and easy to spell. Then, going through the dictionary and combining everything with “fire” we both loved PushFire—meaning that we not only start the fire, but we have to push it or fuel it as well. We slept on it for 24 hours and then negotiated the purchase from its owner the next day. Maybe that’s not the most romantic business story, but that’s how we got it done in less than 3 days and off of our Basecamp to-do list. PushFire’s growth has exceeded our expectations. We are on track to be eligible for the Inc 500 revenue requirements by 2013, but will need to wait until 2017 to meet the time requirements. Everyone has a unique story about how they got into the internet marketing industry, but this is mine and I couldn’t have done it without the help of the SeoBook community, Aaron Wall, and the great forum moderators. Thanks for the time Sean! 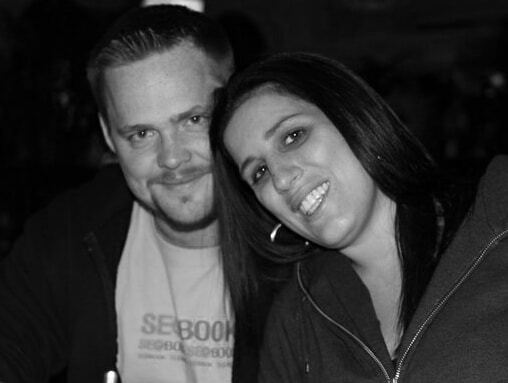 Sean Dolan is the Chief Operating Officer at PushFire. When he’s not managing operations, he’s spending time with his wife and children or donating his time to causes such as The Periwinkle Foundation. You can connect with Sean on Twitter and Google+.